If you attempt to import a 3D model into a 2D scene, you can choose to either convert your scene to a 3D scene, or render the model in 2D. 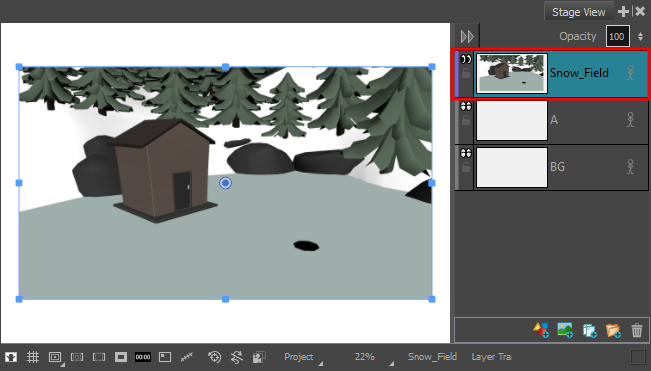 In the latter case, you can position the 3D model so it is rendered from the right point of view, then insert that model into a 2D bitmap layer in your scene. The rendered 3D model can then be used as is, or as a reference for your artwork. 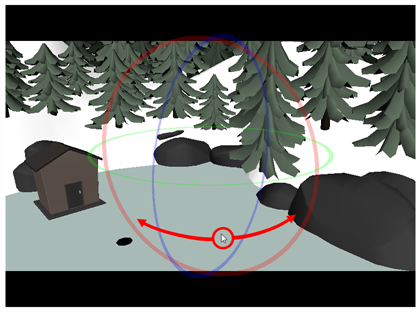 Make sure the current scene is a 2D scene—see Resetting the Current Scene to 2D. 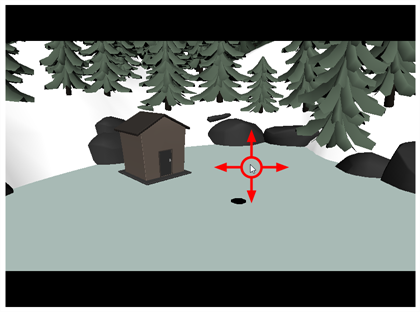 Once the model is in the right position, angle and size, click on Render to Scene. 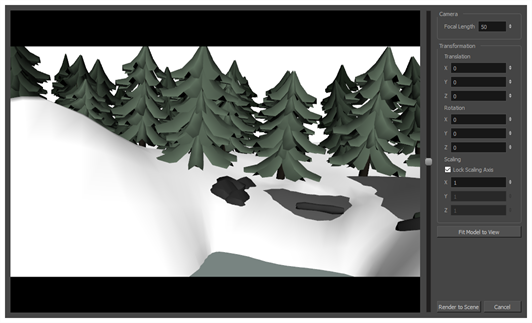 The model is added to the current panel, rendered into a 2D layer. NOTE The rendered 3D model is stored in a bitmap layer. However, to differentiate rendered 3D model layers from manually created bitmap layers, the color bar at the left of their layer is purple instead of blue.